It’s selling season and homeowners everywhere are sprucing up inside and out to attract buyers to their properties. It may be a seller’s market but you still have to put some effort into making your property stand out. The outside of your home is the first thing a buyer will see, if it’s not visually pleasing they won’t go up the walkway much less go inside the home. Overgrown lawns, dead shrubs and weed-infested beds are huge curb appeal killers, but they're also easy to fix. Here are some affordable tips to consider before putting up the “for-sale” sign. The front door should be the star of the show with everything else playing supporting roles. For the cost of a gallon of paint, as little as $25, you can give your home a fantastic front-of-house facelift by painting the front door. 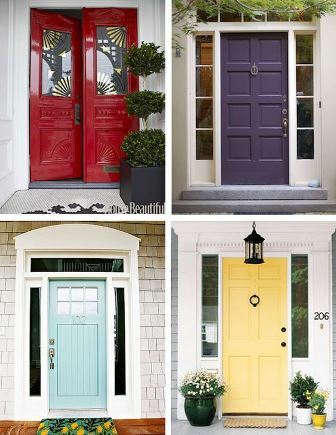 Choose a hue that coordinates with your home’s color but is a contrast between the door and the façade of the home. For example, if your house is gray or white with black shutters, consider painting the front door red. Or give it a nice pop with a bright teal or even pink. Add a new front door handle set and coordinate the handle's finishes with the house numbers. Place a potted plant or two by the front entrance, a potted mini evergreen could run you less than $20. For a finishing touch, hang a pretty wreath on it to give it that “welcome home” feeling. Remove builder-grade or outdated front door or garage light fixtures to instantly brighten your home's curb appeal. Make sure the breaker inside the electric panel is shut off for where the light is being installed and before touching any wires, test them with a live-wire testing device. If you don't want to go to the expense of buying new light fixtures, you could try painting or spray-painting your old ones for a fraction of the cost. A 12-ounce can of spray paint costs less than $8, while attractive wall-mounted exterior lights can be purchased for less than $30 each. A live-wire tester costs less than $20. Creating a beautiful street side view doesn't have to be difficult, daunting, or expensive. Simply mowing, conquering those weeds and raking away debris can give your lawn a cleaner look but adding an edge will give it that professional appearance. Clean edges fool the eye into seeing the entire landscape as neat and well-maintained. Keeping the lawn trimmed will give you a mean, green, curb appeal machine. A vibrant flower bed adds life to the front yard and is a sign of a well maintained home. Weed your planting beds and remove any debris. 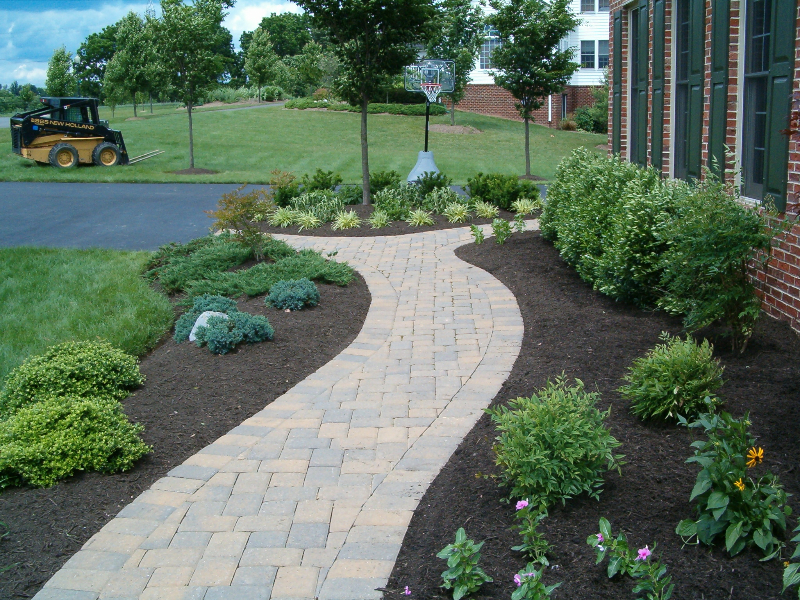 Add a few bags of mulch and spread enough of it to cover the width and length of your home’s front beds. New mulch is an instant facelift that gives your landscaping a fresh appearance and will keep weeds to a minimum while retaining moisture for your plants. A 2-cubic foot bag of mulch can be purchased for $3 or less, use an online mulch calculator to determine how much you’ll need. Don't underestimate the value of a little bit of color in making your house feel welcoming. Add some fresh, vibrant color with a flat of annuals like pansies or impatiens for about $20. Turn the garden hose nozzle to its strongest setting and use the water to blast dirt and debris off sidewalks, the driveway and the front of your home. Make your windows sparkle by spraying them with a garden hose to remove dirt and cobwebs then sponge them down with a little vinegar or detergent diluted with warm water and rinse. This costs absolutely nothing (minus the cost of water). Garbage or recycling containers certainly won’t impress potential buyers. Store these away inside the garage or around the side of your home. DIY patch or seal minor cracks in the driveway, the cost should run between $100 - $150. Too much unruly green can look like disrepair so no matter how well-manicured your landscaping looks, the first thing onlookers will notice is the over growth. Cut it back so it frames the home rather than overtaking it. Shrubs that are overgrown to the point that windows are obscured or branches are hanging in walkways can visually 'eat the house and dead, dying shrubs are curb appeal killers. Your home needs to be visible from the curb in order to have curb appeal, so cut overgrown bushes and trees, removing branches that block walkways, windows, the driveway and views of the home from the street. Be careful not to prune anything too severely. That kind of pruning makes it obvious that the maintenance got out of control, which is not the signal you want to send to potential buyers! This will cost you nothing more than your time so long as you have your own shears. If you need to purchase some it will likely cost less than $50. 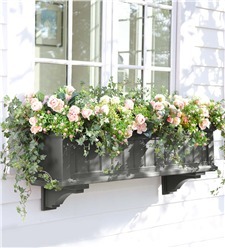 Overflowing window boxes make a big statement in the small space and coordinate beautifully with colorful shutters. If they are affixed to the house and you haven’t kept up with them, don’t leave them empty, plant some moss. It’s inexpensive and provides a nice, clean look that is maintenance-free. Planters that aren’t affixed can be emptied out and put away so you don’t have to worry about maintaining them. How does your mailbox look? Battered old and worn? You can take on this project starting around $20 depending upon how much you want to spruce it up. The least expensive option is to purchase a can of spray paint to give the box and the post a quick upgrade. Pairing your box with seasonal items will dress it up and make it stand out. A well-designed walkway gives your home a warm and inviting feeling. If your home doesn’t currently have a nice paved walkway create one, brick pavers offer traditional, classic beauty to the lands cape of any home. There are many more ways to dress up your curb-side view and some have more advantages over others for your specific property. The bottom line is, put in the effort to get your property noticed.